If a fun, feel good musical is what you are looking for this September, then lucky you, because Cilla: The Musical is in Edinburgh, and it is not to be missed. The show’s writer, Jeff Pope, has an incredible resume of credits including the critically acclaimed Philomena (2013), as well as the 2014 television series Cilla starring Sheridan Smith in the title role. Set in the 1960’s, this new musical tells the true story of the late icon Cilla Black’s music career beginnings. Cilla, played by the stellar Kara Lily Hayworth, is shown as a young aspiring singer who, while currently in a non-musical related job, enjoys singing with local bands such as Rory Storm and the Hurricanes, The Big Three and The Beatles in places such as Liverpool’s famous Cavern Club in her spare time. With the support of her friends Pat (Billie Hardy) and Pauline (Gemma Brodrick-Bower) along with her love interest, local man Bobby (Carl Au) who takes on the role of her manager, Cilla’s confidence grows and she is noticed by Brian Epstein (Andrew Lancel) who famously manages her close friends The Beatles. After initially failing at her audition for Epstein, Cilla proves herself and lands a recording contract. We see Cilla famously record and have success with iconic songs such as Anyone Who Had a Heart, You’re My World and Alfie, but we also see the conflicts Cilla faces with her relationship with Bobby. This lovely story of music, triumph and love has you rooting for Cilla and and the lovable Bobby on one hand, while you are left with a large amount of empathy for Epstein, who sadly passed away of an accidental overdose. However, this tragedy finally sees Bobby properly become Cilla’s manager and the pair thrive together on the music scene. With excellent comic relief provided for by Cilla’s parents John White (Paul Broughton) and Big Cilla (Pauline Fleming), Cilla: The Musical beautifully captures the swinging sixties and the exciting music scene that the vibrant Liverpool is hugely known for, which gave me a sudden but desperate longing to visit again. From the simple but perfectly accurate costuming and the set portraying The Cavern Club, Abbey Road Studios and Cilla’s own living room, it made you feel as though you were really there for the action. It is very much worth noting how fantastic Kara Lily’s Hayworth’s performance as the feisty but endearing Cilla is. Hayworth has a phenomenal voice, and for me, stole the show. Her performance was extremely gripping and incredibly convincing. It was difficult to remember is was not Cilla herself we were watching, as Hayworth perfectly captured Cilla’s aura. With so many iconic songs from Cilla Black and The Beatles, this show is long, but engaging and had the audience on their feet and singing Twist and Shout at the top of their lungs. Cilla: The Musical is a triumph and a great tribute to the late legend and keeps her legacy alive. So, make sure you get yourself a ticket! 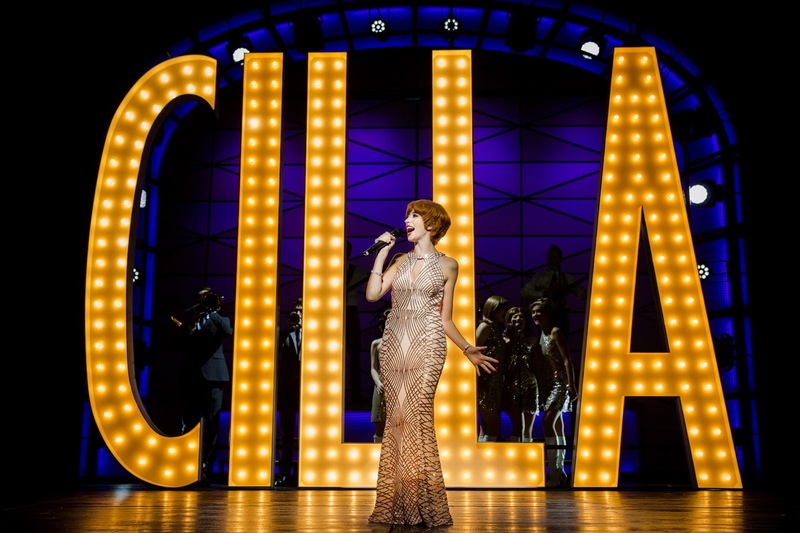 Cilla: The Musical is running at The Edinburgh Playhouse from Tuesday the 19th to Saturday the 23rd of September, so if you are looking for quality evening of entertainment, make sure you get yourself a ticket, and fast.